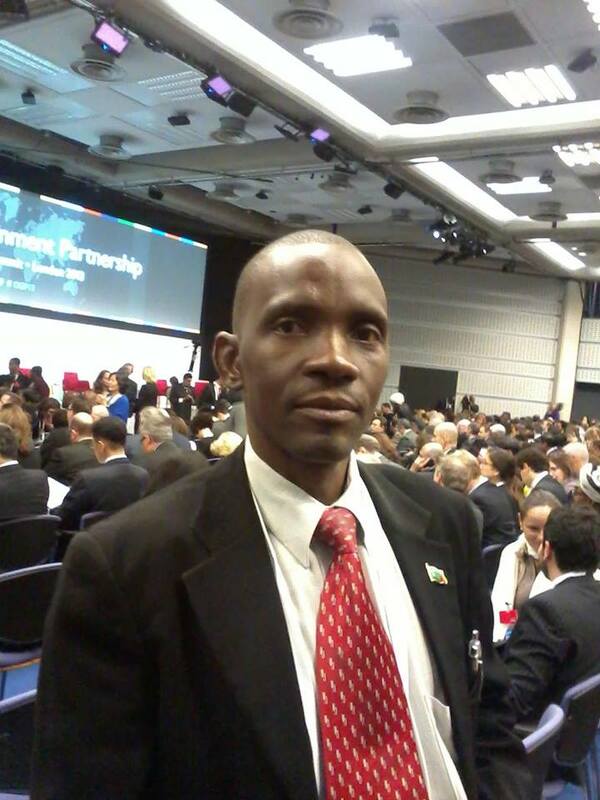 Former Foundation for Democratic Process FODEP Executive Director McDonald Chipenzi is demanding K450,000 from the organization as terminal benefits. 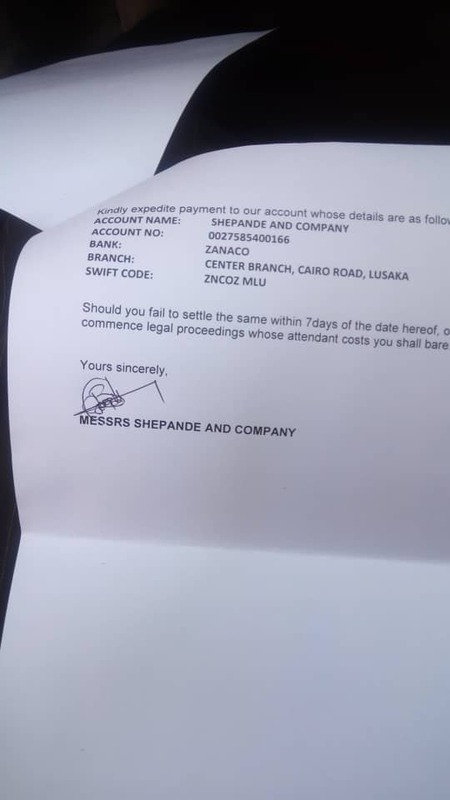 According to a letter address to FODEP, Chipenzi through his lawyers Messrs Shepande and Company, is demanding that the organization has abrogated the law by not paying him his benefits. “We have been retained by Mr MacDonald Chipenzi, kindly therefore, note our interest. 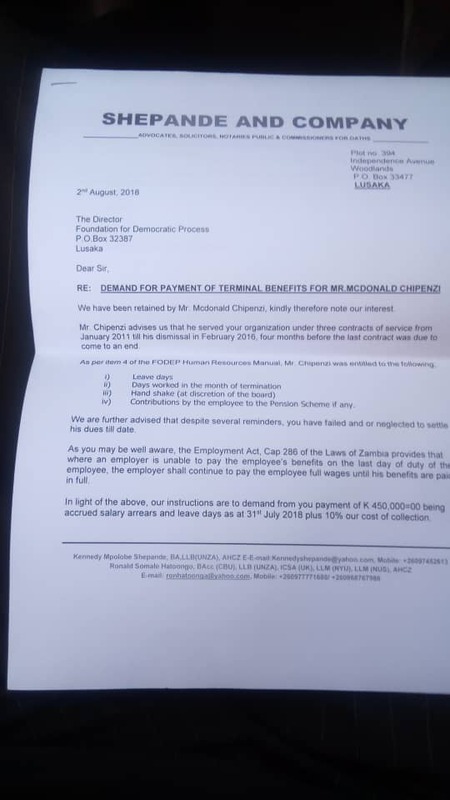 Mr Chipenzi advises us that he served your organization under three contracts of service fron January 2011 till his dismissal in February 2016 four months before the last contract was due to come to an end,” the letter reads in part. The lawyers states that legal action will be taken if the organization fails to pay.